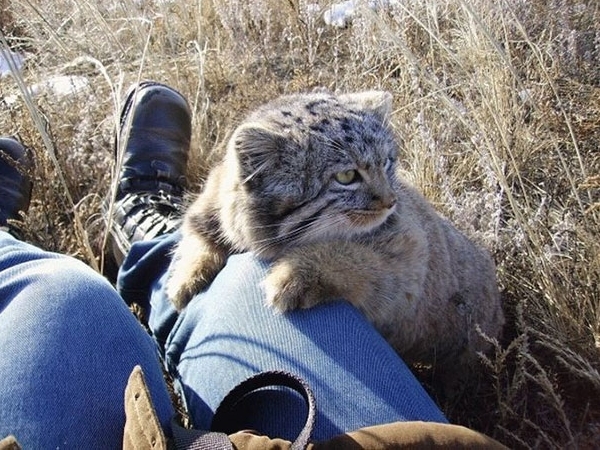 When a Russian farmer was making the rounds on his property, he came across four little fluff balls that were unlike anything he had seen before. 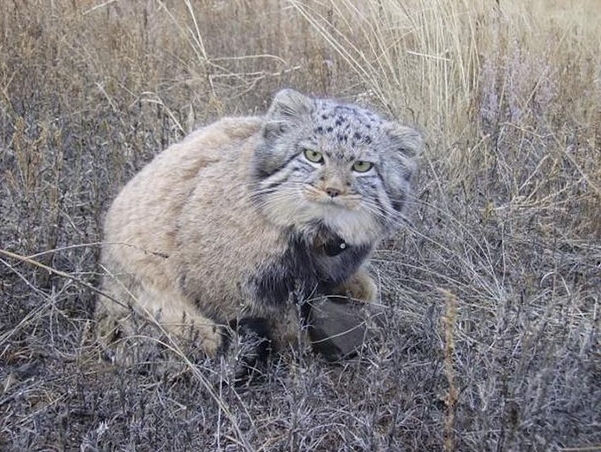 Unable to identify the creatures and what kind of help they might need, he called the Daursky Nature Reserve. Little did he know that he had just begun a journey that would change his life. 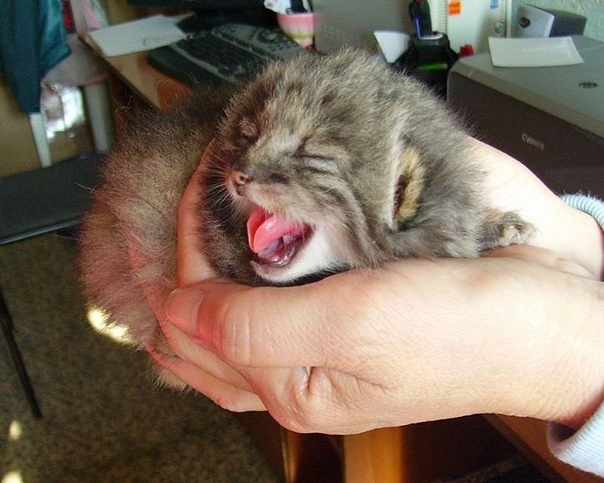 When a Russian farmer found four strange little kittens in his barn, their eyes hadn’t even opened yet. They were going to need a lot of help if they were going to survive. He called the Daursky Nature Reserve. 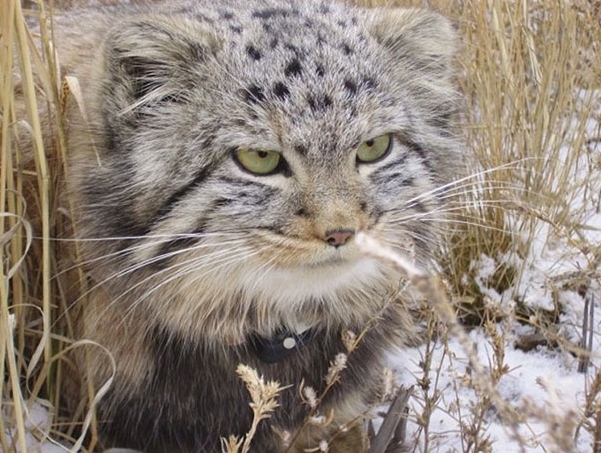 The reserve quickly identified the animals as Pallas’s cats, also known as manuls, a rare species of wild cat that is native to Central Asia. 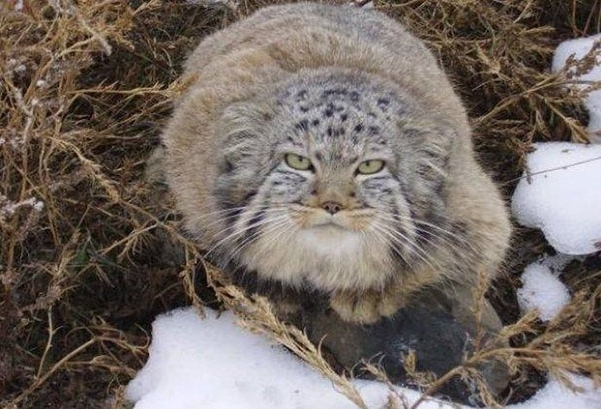 Manuls are the same size as domestic cats, but there are some big differences. 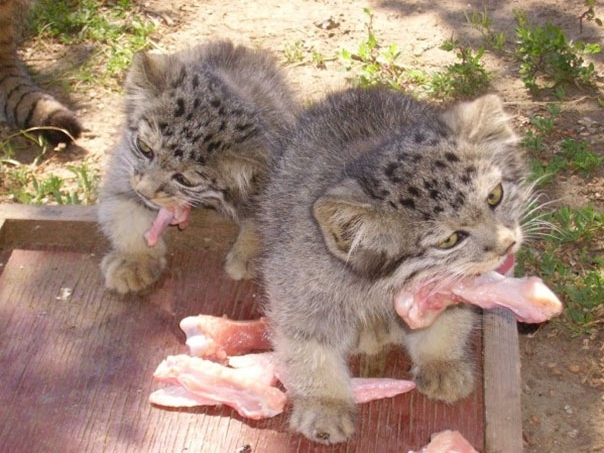 Their build is stockier, their legs are shorter, and their fur is thicker so that they can survive in harsh climate. Their faces are wider and ears are flatter, as well. 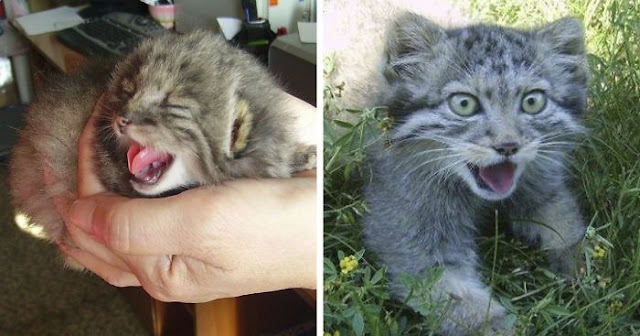 They decided to see if two domestic cats at the facility would nurse the babies. 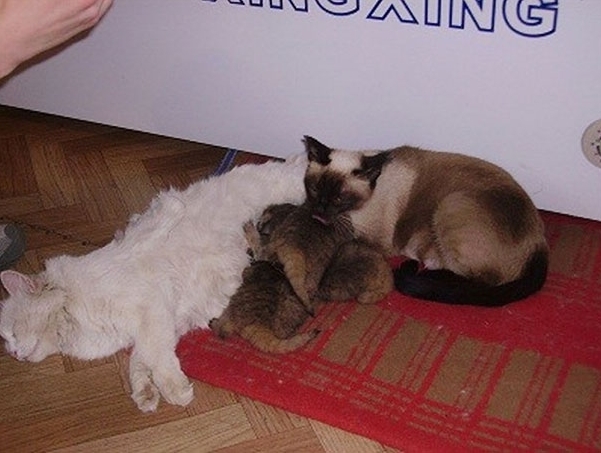 Luckily, the cats took them in and nursed them as their own, saving their lives. 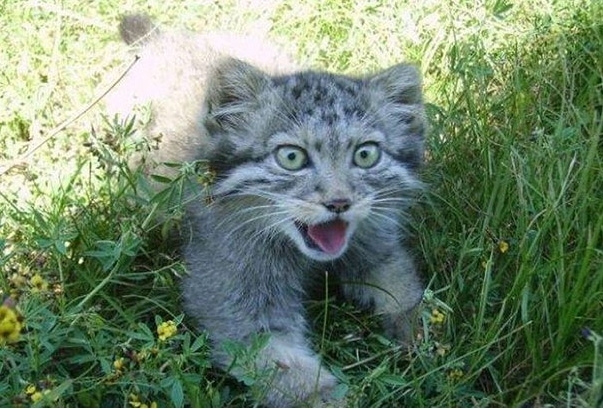 The kittens began to grow, and the reserve’s staff began to fall in love! 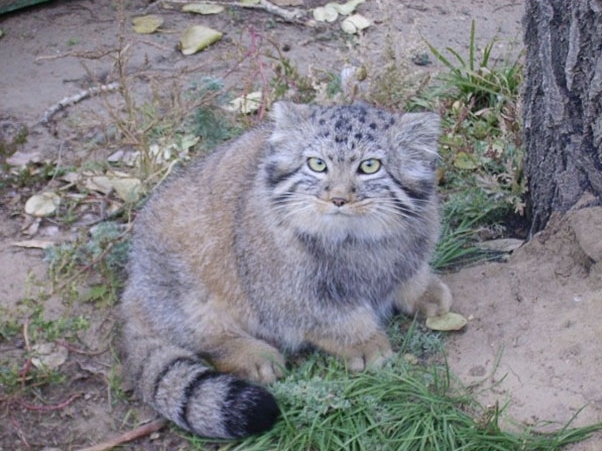 The cats flourished at the reserve, and their caretakers knew what the next step would be. As sad as it was to say goodbye, they would be sending these kitties into the wild, back where they belong. Responses to "Farmer Surprised After The Kittens He Found Turned Out To Be Something Else"